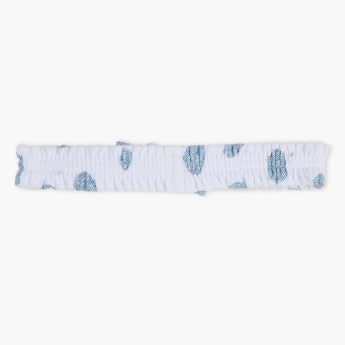 Lock up your little one's tresses with this printed headband which is a must-have for everyday use. The polka dot print all over, along with the denim bow detail looks beautiful. 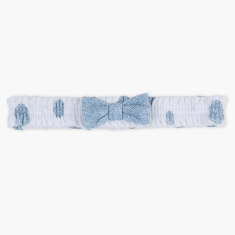 This elasticised band will fit properly in your little one's head.